We have a large array of single musicians that can be the perfect accent to any corporate event, or provide that special ambiance for a wedding ceremony or other social occasion. 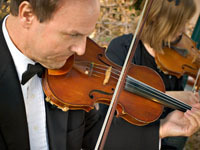 Let our accordion players create the unique and melodious background for your special event. Whether a single accordion player or a duo, this beautiful music sets the stage for a time to remember. 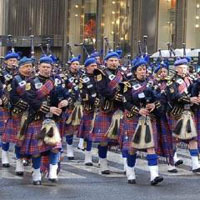 Let our bagpipe musicians create the unique and traditional sounds of old Europe for your wedding or special event. Whether your event is an intimate gathering or a grand ceremony, this beautiful music sets the stage for a time to remember. From Classical to Spanish Flamenco and Jazz, our guitarists bring colorful music to your ceremony and reception with selections and a tone that is perfect to fit your needs. Our pianists play all styles, classics, love songs, as well as jazz. This popular, well received sound sets the tone for your ceremony and can blend nicely into a reception, or social hour too. This artist is an incredibly versatile and talented musician. 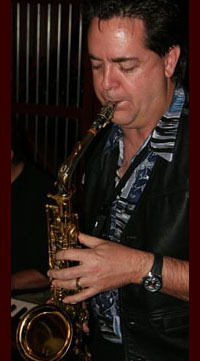 He can play tenor, alto, and soprano saxophone, plus a wide array of other instruments. His charisma and talent is sure to delight any audience. Create the music of your dreams with one of our talented singers. These gifted professionals have the ability to beautifully complement the emotional journey of your wedding day or special event. Let them capture the beauty through song and help to make this day even more memorable. 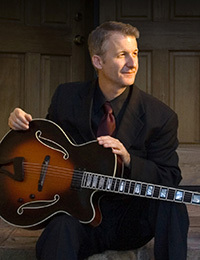 This musician holds a Bachelor of Arts in Music from Arizona State University and a Masters in Education from Northern Arizona University. 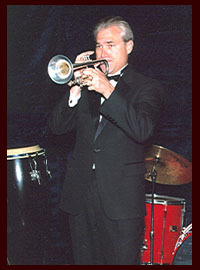 He has played for numerous entertainers and internationally acclaimed bands like Vic Damone, Vicki Carr, Louie Belsom's Big Band, Ella Fitzgerald, Natalie Cole and Dionne Warwick.